Dr. Frank M. Bass, often called the "Father of Marketing Science," died on December 1, 2006 at his home. At age 79, he was in his 25th year as a professor of marketing science in the School of Management at the University of Texas at Dallas. Professor Bass's research and that of his students was pivotal in establishing marketing as a quantitative science. Dr. Bass was a native of Cuero, Texas. He received his PhD from the University of Illinois (1954) after earning an MBA from The University of Texas at Austin (1950) and a BBA from Southwestern University (1949). He served in the U.S. Navy from 1944-1946 in Okinawa. After his MBA degree, Dr. Bass spent a year with the wholesale pharmaceutical distributor, McKesson & Robbins, where he asked myriad questions about marketing that could not be answered. When he realized that no one, either in industry or academia, knew the answers he sought, he decided to become a professor with the goal of doing research to find the answers himself. From that moment, until his death, he searched for mathematical theories that could be proven by testing with measurements (data) in order to provide answers to fundamental questions in marketing. The mathematical and statistical models he developed of generalized marketing phenomena are among the most widely used in the world. Dr. Bass held professorships at the University of Illinois, Champagne-Urbana (1951-54), The University of Texas (1954-1957) and later The Ohio State University. Because of his distinguished research record, he was invited to join a very select group at Harvard University as a fellow for the 1959-1960 Institute of Basic Mathematics for Application to Business. That year, which was sponsored by the Ford Foundation with the goal of improving management education, had a significant impact on Dr. Bass�s career, and, in turn, the marketing profession. Dr. Bass joined the faculty at Purdue University in 1961, and in 1974 became the Loeb Distinguished Professor of Management at Purdue's Krannert School of Management. In 1982 Professor Bass left Purdue, one of the world�s leading management schools, for the challenge in his beloved home state of Texas of helping to build the University of Texas at Dallas (UTD) School of Management into a world-class research institution. At UTD he held the prestigious Eugene McDermott Chair. One of Dr. Bass's many landmark achievements came when he developed a marketing model that tracks the sales of durable goods. It was 1966, and color television sets had been recently introduced to American consumers. Since it was the early stages of the product's introduction and there were limited data on which to base a forecast, estimates of what the demand would be were all across the board. Bass built a model based on estimates of "innovators" and �imitators� that predicted a flattening of demand far below what most �experts� had predicted. His model, although built on limited data, was amazingly accurate. The overall model led to numerous applications and scores of academic careers and literally hundreds of research papers extending the model subsequently known as the �Bass Model.� The model continues to be widely used in industry today. His original paper on the "Bass Model" was named by The Institute for Operations Research and Management Sciences as one of the Top Ten Most Influential Papers published in the 50 year history of management science. Dr. Bass thought that decades from now his most important contribution might be viewed as his research on stochastic brand choice in marketing, particularly his 1974 paper. He made the case that consumers' choices cannot be predicted on an individual basis, but only probabilistically. This work established a new way of looking at customer choice behavior. Just as Heisenberg's uncertainty principle in physics established that simultaneous position and momentum of a subatomic particle cannot be measured to arbitrary precision no matter how good the measuring instruments, Dr. Bass's stochastic brand choice research showed that for brand choices consumers� brains have a stochastic element; and, no matter how much data one gathers on a customer, a particular instance of his or her choice of a brand cannot be predicted deterministically. Dr. Bass was one of the first marketing scholars to apply econometric methods in developing statistical estimates of the effects of advertising, promotions, and prices upon sales. His research in marketing econometrics and that of his intellectual descendants include seminal works in the field. In 1972-75 Professor Bass served as the Editor of the preeminent journal in marketing -- the Journal of Marketing Research. His international stature grew as a pioneer in management sciences when in 1978-79 he served as president of the Institute of Management Sciences. He later co-founded Marketing Science, arguably the most prestigious quantitative marketing journal in the field today. Dr. Bass won numerous awards for his research including the American Marketing Association's 1979 William Odell Award, the 1986 Paul D. Converse Award, the 2002 Gilbert A. Churchill, Jr. Award and the Charles Coolidge Parlin Award for Outstanding Contributions to Marketing Research. Professor Bass has received honorary doctorates from Purdue University, The Ohio State University and the University of South Australia. In his honor the University of Groningen in The Netherlands has created a special chair and the University of South Australia has created the Ehrenberg-Bass Institute for Marketing Science. The University of Texas at Dallas has established the Frank M. Bass Institute of Marketing Science. In spite of all his research contributions, Dr. Bass is perhaps best known for his development of research scholars. He has chaired the dissertations of 58 PhD students, most of whom are today leading scholars in marketing science and at top universities throughout the world. Each of these scholars has followed in the footsteps of Dr. Bass and dedicated themselves to the future development of other scholars. These disciples of Bass have had a significant and continuing impact on the marketing field. Dr. Bass's intellectual descendants number more than 215 scientists, a remarkable percentage of all marketing scientists. Dr. Bass inspired his students and colleagues with his passion for beautiful mathematical models of marketing phenomena - but, absolutely insisted that a model is only as good as the empirical testing it has undergone. Dr. Bass was fundamentally a scientist with the same passion, the same mathematics and the same desire to find truth as other great scientists such as Newton and Einstein. As other scientists who have launched new scientific disciplines, Professor Bass sought to see the �face of God� in understanding the beauty of how the world of marketing works. He understood that marketing and business are as fundamental to humankind as physics in that it is through business that we humans create practical products and services for each other to improve our lives, accelerate our evolution and increase our creativity and satisfaction. He thought no small ideas. 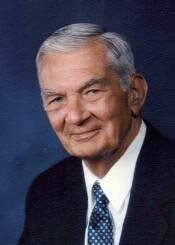 Dr. Bass is survived by his wife Portia Isaacson Bass, his son Douglas Bass, his step-sons Allen Isaacson and John Isaacson and 7 grandchildren. Funeral services will be held on December 6, 2006 in Cuero, Texas.